Jones Library under construction with a car parked in front and Mr. Dolan, the architect standing in front. The caption on the reverse reads, "Taken from the south side of Amity street looking North. Mr. Dolan (French Canadian) foreman, standing in front of Boltwood room. Concrete for 3rd floor was poured December 2nd and 3rd. Steel pillars put up the 5th." 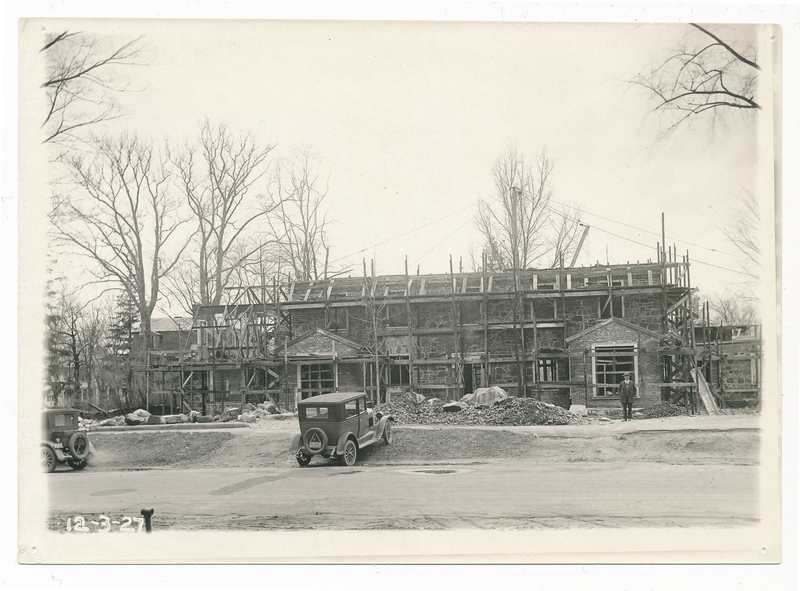 “Jones Library under construction in December 1927,” Digital Amherst, accessed April 23, 2019, http://digitalamherst.org/items/show/1976.